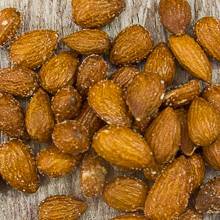 Seasoned with a citrus zest, these crunchy almonds have a kick of lime and are sure to be a hit in all your summer parties! Price quoted is per pound, not including shipping. From gabquintana of Covina, California on 5/25/2016 .